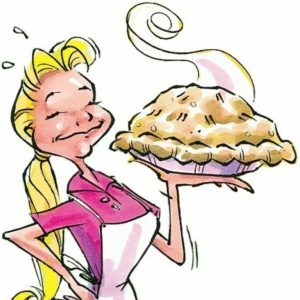 The Thanksgiving Turkey…Door County Style. Thanksgiving is just a few days away and it is time to start thinking about where to buy the turkey. You can of course go to any market and get one of those frozen birds. Some will offer you a fresh bird, if you order it in advance. 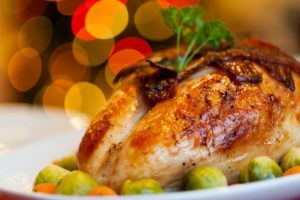 Free-range and organic have become buzz words the last several years and I know people who go to great lengths to make sure the turkey on their led a clean life! So where in Door County can one get one of these beauties? Door Karma Market on Highway 57 just north of Baileys Harbor. The market offers a variety of organic meats, including your Thanksgiving turkey. While you are there pick up some farm fresh eggs for breakfast the next morning. If you are in Green Bay you might find them at the Green Bay Farm Market. Call 920-660-2494 to check on hours and availability. Just across the street is Koepsel’s Farm Market. Salsa, salad dressings, jams, cheese, bakery. You wan’t leave without some tasty treat. Waseda Farms is on Logerquist Road in Jacksonport and also offers a variety of organic meats. Waseda has markets in Green Bay and Jacksonport. Call 920-632-7271 to see about availability and pick up. Greens N Grains Natural Foods Market & Cafe, in Egg Harbor offers Organic Prairie, Mary’s Affordable Organic, and Free-Range Thanksgiving Turkeys. I didn’t know turkey came in so many varieties. If you are a natural foods buff, this is a great little market. you’ll want to head over to Jacksonport for the Thanksgiving Day Parade. The parade is fun-loving and eclectic, and has a great tradition of neighbors helping neighbors. The parade lines up at the town fire station on County V, heads up County V, turns left onto Highway 57, travels down to Mike’s Port Pub, turns around and heads back to the fire station. Where else can you watch a parade twice?! The student council students from Sevastopol High School and the DECA students from Gibraltar High School work together to organize the parade, the raffle prizes, and to collect money to help an individual in need, along with Feed my People, Clothe my People, and to buy Christmas gifts for needy family. 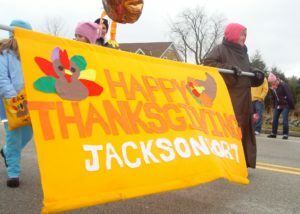 Thanksgiving is a great day in Door County, hope you can enjoy it with us.